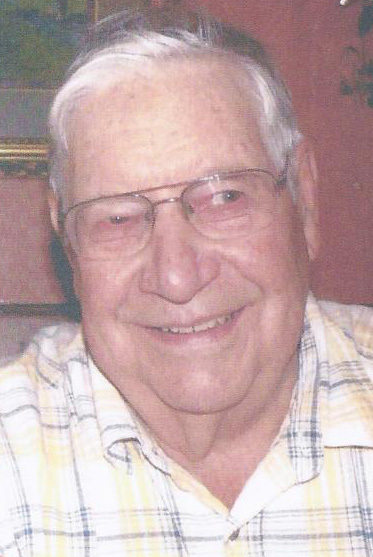 Robert “Bob” Bolte, 88, a resident of Gooding, passed away Thursday, June 14, 2012 at Bennett Hills Care Center in Gooding. Bob was born April 2, 1924 in Gooding, Idaho to Robert P. and Vera M. Bolte, where he lived on the homestead farm raising sheep, Hereford cows, and grain and hay crops. In 1944, bob joined the Army Air Corps, 621st Division. He was a Corporal Gunner Instructor. Bob was honorably discharged in 1946. On April 4, 1954, he married Donna Jean VanDorn. They lived in Gooding on the farm. They had three children; Ann, Barbara and Jon. Bob was active in many community organizations in Gooding, including 45 years of service with the United States Department of Agriculture Soil Conservation District and The Wood River RC & D.
Bob was preceded in death by his parents, and his wife Donna. Bob is survived by 2 daughters; Ann (John) Thornton of Kuna, Idaho, and Barbara Thomas of Gooding, Idaho; 1 son; Jon Bolte, of Snohomish, Washington; and 4 grandchildren; Todd Thomas, and Chad Thomas, both of Gooding, Idaho; and Shane Bolte and Kali Bolte, both of Snohomish, Washington. A visitation for family and friends will be held from 4:00 pm to 7:00 pm, Wednesday, June 20, 2012 at Demaray Funeral Service – Gooding Chapel. A funeral service will be held at 1:30 pm, Thursday, June 21, 2012 at the Gooding United Methodist Church in Gooding. Burial will follow at Elmwood Cemetery. The family suggests memorial contributions in Bob’s name be made to The Bolte Memorial Scholarship Fund, c/o Gooding Soil Conservation District, 801 Main St. Gooding, Idaho 83330, or to a charity of the donor’s choice. Condolences may be sent to the family by visiting the obituary link at http://www.demarayfuneralservice.com. Obituary posted on this blog with permission.